I was simmering, simmering, simmering! For my American Literature class, we were assigned to read Ralph Waldo Emerson’s “Self-Reliance,” and one of the questions to answer afterward asked us to choose a maxim in the text and discuss it. 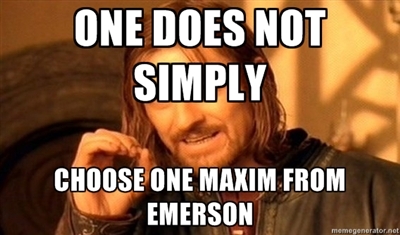 But come on, it’s Emerson. The essay is full of so many that I agree with. I was simmering, like Whitman, and I too was brought to a boil when reading this. It was a kind of feeling I can only get when inspired by another’s writing to the point of using similar elements in my own works. Not only did I find these to make sense in the realm of reality as it is, but I began thinking about how true these maxims would ring within the rules of my own world (the one I’m in the process of building in a story of mine). If created by a half-decent builder, a world has many different societies. A few of mine happen to be heavily influenced by Europe – especially northern Europe. Further down my world map are the less defined “Tropics,” the areas near the equator. While I was reading Emerson, all I could think about were my darling, developing island people. 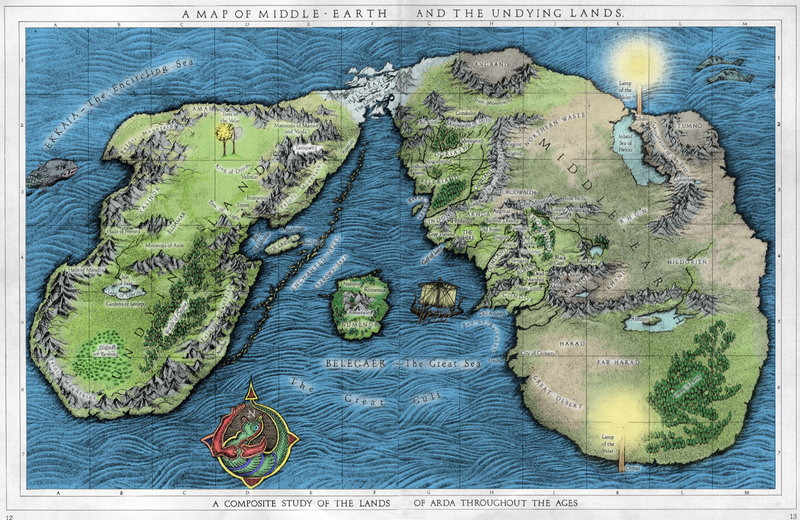 The first main characters present in my story come from what I call the “Northern Lands,” and are thusly built, with their land, to a degree of familiarity at current. In the meantime, I feel that Emerson has come to me at a time that couldn’t have been any more perfect. My tropical inhabitants are a natural people, but I didn’t want to fall into the Pocahontas/Avatar cliché often associated with those who live in harmony with nature. Such groups are often stereotyped to emphasize the community, and I thought that that was the only way to go, really… until Emerson opened my mind to the divinity of the self. When he mentions the self, he doesn’t mean to be selfish, but to follow one’s intuition, to be oneself, to follow the actions of Jesus rather than doing what some preacher says to do. And, all this must be done while being one with nature. He spoke of the power and spirit of the landscape. This, I thought, has to be the basis of these yet-developed people of mine. From there, I began re-reading lines in the essay, taking notes, and furiously scribbling ideas into my notebook. I took some of Emerson and added a tinge of myself. As stated before, these people I am creating belong to a more natural and less industrialized society. This is by choice. “The civilized man has built a coach, but has lost the use of his feet” (36). And, rather than emphasizing community, they prefer to follow Emerson’s views on non-conformity. “Society is a joint-stock company, in which the members agree, for the better securing of his bread to eat shareholder, to surrender the liberty and culture of the eater” (21). They find principal, power, divinity, and spirit all within nature as well as themselves. These will be an intuition-driven people who are deeply in touch with “the self.” “Your isolation must not be mechanical, but spiritual, that is, must be elevation” (30). All power and matter can be conjured and manipulated (through equivalent exchange) by the self and not relying on god(s) to perform miracles or preachers/priests to dictate doctrines. 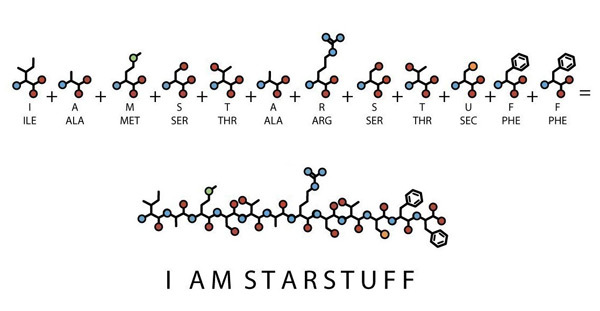 Because after all, we are star stuff, aren’t we? We are made up of the heavens themselves. However, there is no complete lack of group; there will be a sense of society, as there is in the world Emerson is trying to create: “I shall endeavor to nourish my parents, to support my family, to be the chaste husband of one wife, – but these relations I must fill after a new and unprecedented way” (31). These people will find harmony, a goal only achieved through truly understanding the self, because if you don’t understand yourself, how could you possibly ever hope to understand anyone else? “No man can come near me but through my act” (31). Emerson, Ralph Waldo. “Self-Reliance.” Self-Reliance and Other Essays. Mineola: Dover Publications, Inc., 1993. Print.